Do you think I don't see it? I do! And I'm not afraid of saying or doing the wrong thing to get thrown out. Still, the whole thing remains absolutely crazy! A teenage boy seeing God, angelic visitors, "translations" of golden plates by looking through rocks (with or without hat or breastplate), ancient Christians in America, polygamy, inexplicable polyandry, militia violence, over-zealous preachings and mass migrations to a desert, priesthood initiatory ceremonies for men and women, living and dead. It's absurd! Why do I stay? Confirmation bias? Maybe to some extent we all have it about some things. (If you don't believe me just check out FOX News for five minutes). Family or societal pressure? Ask my family how that plan's going to make me conservative politically. Dysfunction and mental illness? Same thing. Here's the deal. I didn't just fall out of bed one day and start believing this stuff. And it hasn't been brainwashed into me. I've visited other churches. I've read all the controversies. Sometimes I'm surprised, but what I don't do is fall out of bed and stop believing all this stuff. It always comes down to basics for me. It's not just believing. Yet Faith is to believe and not to see or understand completely. There is choice and action. You act or you are acted upon. I have found through my experimentation on the word and sincere desire to know, that I have mental and spiritual confirmation of my belief. I still don't know and somethings I don't understand. But I know enough and I have experienced enough to see my little grain of faith, tended in good soil, growing up to be a Tree of Life. And you know what, my belief and knowledge keep on changing. It's weird. I have no reason the fight the institutional church. I can't think of one. If I tried, I probably could come up with some doozies but that's not what I'm about. I use my unique insight in the way I see things to influence others to some degree by persuasion, example, patience, bad example, long-suffering and sometimes love as genuine as I can give - sometimes only slightly faked. And the church is constantly changing - mostly for the better. And I'm not going to fight the NOMs, No-Mos, or whatever they are who left. I still love the ones I know. I'm no genius. I don't understand a lot of the stuff I see on the intellectual Mormon blogs and I don't follow them much. 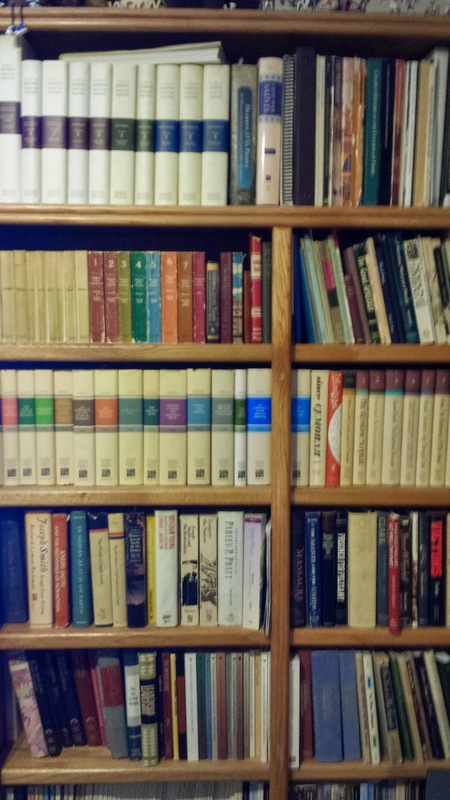 I can't write books like Terryl Givens or Richard Bushman. And there's crazy, right-wing, or even "mainstream" Mormon stuff out there that drives me bonkers. I'm good with General Conference even if I have my favorites and tend to tune out some where I don't feel the Spirit witnessing to me. Maybe that's my fault - but it's still cool. No one is kicking me out because President Uchtdorf is my fave (I am in the majority there). I also like how Richard G. Scott seems to transcend time and space and part the veil to make his deceased wife so real. Which I believe she is. Old men get old. That doesn't bother me much either as I'm on the same track (the old track, I doubt I'm on the GA track although my wife may be). And I like it when President Eyring cries. That is not manipulative emotionalism, but spirit to spirit for me. And.I.Love.The.Temple. It's all symbolic! They tell you that when you go in with reminders throughout! And I know Joseph and Brigham may have borrowed symbols and given them new meaning just as with the Egyptian funerary texts - symbolic - and with great power and meaning to seal us up to the Lord and our eternal families. No where else can I find this! And I cannot deny the spiritual manifestations that have come to me in this regard. I regret I haven't even recorded them all, but I have a good collection down on paper (and the cloud) for my posterity. I've told you that I serve in the Temple on every other Friday Evening for a 4-5 hour shift. It is amazing. I don't think I could ever tire of it. Well, I do get physically tired standing and my mouth goes dry repeating sacred words over and over. And with those words come priesthood power from on high for the participants living and deceased and even on me, the ordinance worker. (It's funny how they call it ordinance work) - most are more elderly than I and it is physical work to stand and move and mentally remember everything that has to be done to conform with the priesthood order of things as we now have it. Oh, and the women too performing priesthood ordinances. Yes. In the Temple the women perform priesthood ordinances. The Church is still growing and we will still have revealed to us many great and marvelous things pertaining to the Kingdom of God. I guess I should probably link in here to some doctrinal exposition as in the Articles of Faith. They were written before the Temple work was fully established, but you get the gist. I have made a choice, a commitment, and bound myself in covenants with my wife, my family, and Lord Jesus Christ. I have no reason to change that in any way. Although, you know, continuing revelation and learning from mistakes and all. May God bless us every one! 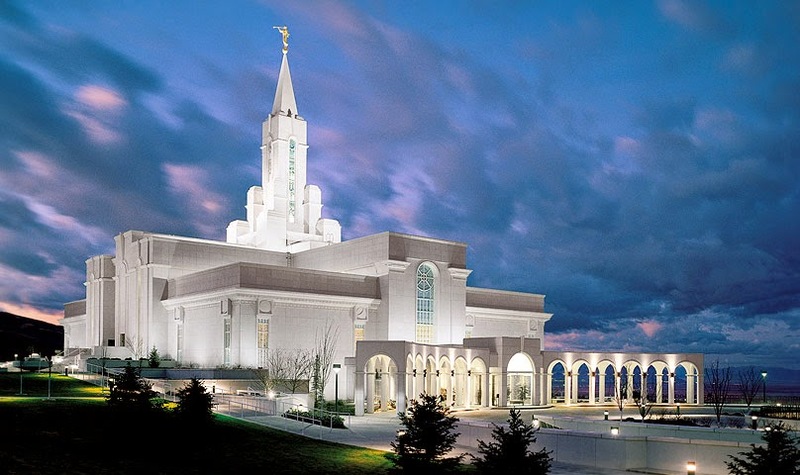 Bountiful Utah Temple - Where I serve. I appreciate hearing this testimony. I laugh that you say you get little satisfaction from the blog. Thanks for doing it anyway. Thanks, Kathleen. I get some satisfaction by expressing myself, but not much in the way of fame or fortune. I mean, like nothing. I'm grateful for any readers at all! Take care! good to hear from you! You may not have intended it as such, but boy was that post a kick in my "wouldn't it just be easier to..." spiritual backside. For which I am very greatful. Even scarier was the fact that I subconsciously read "President Uchtdorf is my fave" in his voice! I felt a joy for the gospel i haven't felt in a long time a self-imposed denial? Thank you for writing, even if it's unsatisfying. Thanks, Colin. Maybe it is satisfying if you guys keep boosting my spirits.